Today I had the fortune of visiting the HMQS 2014 show here in Salt Lake City Utah where I live. I have gone to the show for the last 3 years. As a some what new quilter I have been influenced a lot by it as its the only quilt show I have ever gone too. I took well over 100 pictures and have posted them on my pictures site for any one not able to go to the show you can visit and check them out. While visiting my picture site if you rate the pictures it will send you to the next un-rated picture in the categories on the picture. I am interested on what quilts you guys like. It was so much fun walking around and looking at quilts. I did not take pictures of all of the quilts. But then again I took way over 100 pictures so I must have liked a few. Some pictures I took because I liked the colors. Others I took because I liked a technique used in the quilt. I am humbled when going to this show because it shows me really how much I have still to learn. Being a new quilter (only 2 1/2 years) I may have made many quilts but I have not made any really difficult quilts. 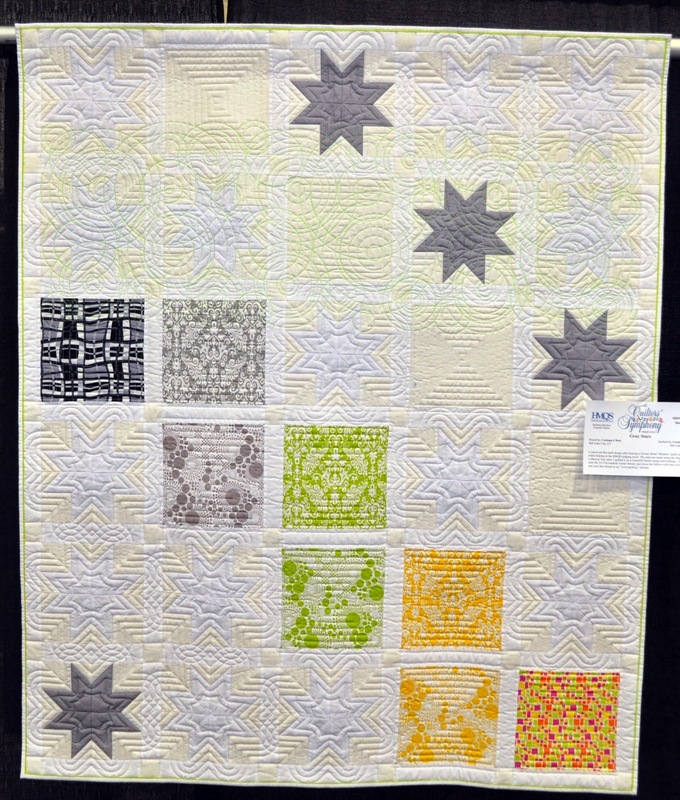 This year there were not as many modern quilts as last year. 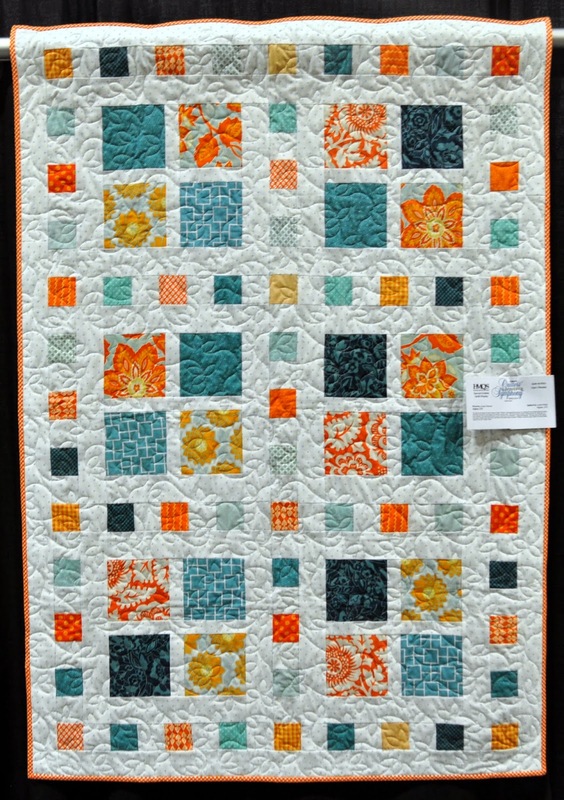 I am not really a modern quilter but I like the modern quilting and would really like to work more on my modern skills. 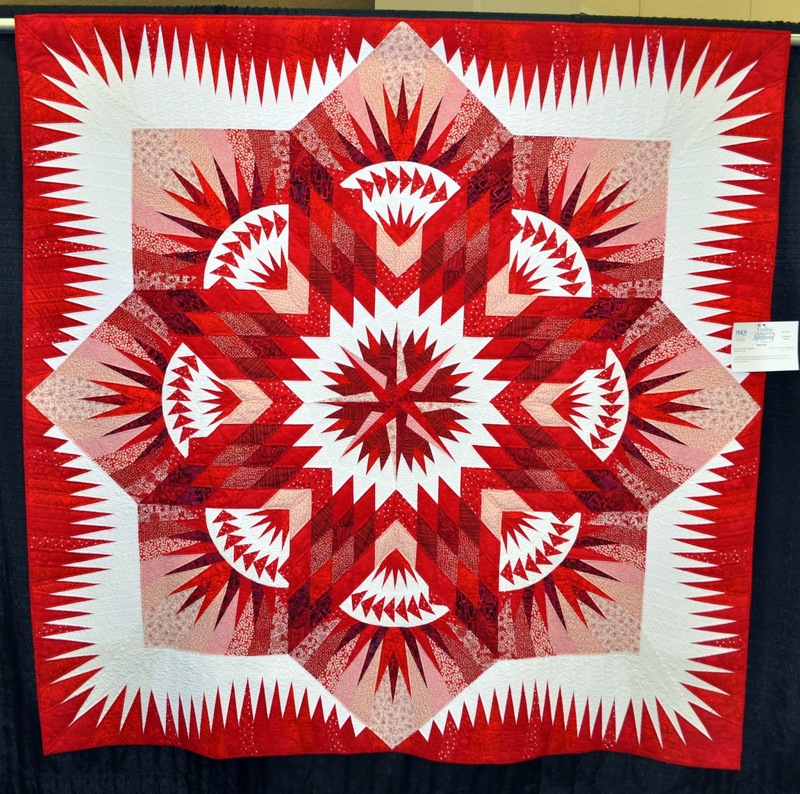 It is interesting to see how amazing the quilting is on many of these quilts. I have realized that I am much more into piecing quilts then I am a quilter. I struggle a lot with my quilting skills. I have decided that I really want to get a long arm and start upping my quilting game. Now that I have have decided I need to get a long arm I need to learn more about them and how to quilt with them. But then again I don't even know where to get that knowledge. I do know that as a guy at a quilt show I am some what ignored. Most assume that I was some husband dragged though the show not a quilter in search of more skills to add to the quilt tool bag. 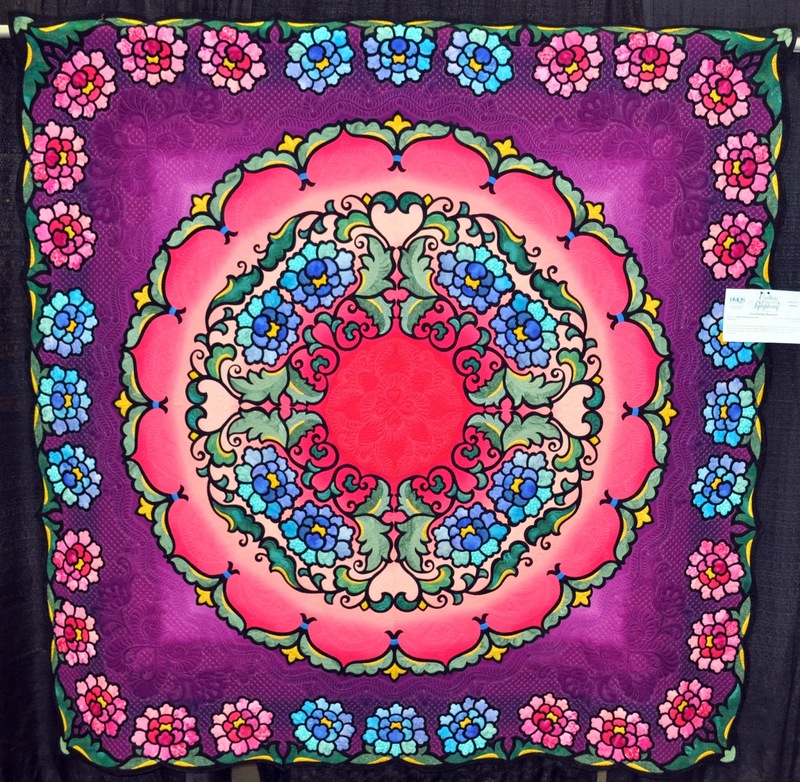 All in all I love the quilt show and hope that if you enjoy these quilts that I have shared here that you will check out the other quilts on my picture site. If you love these please view my other pictures on my picture site. 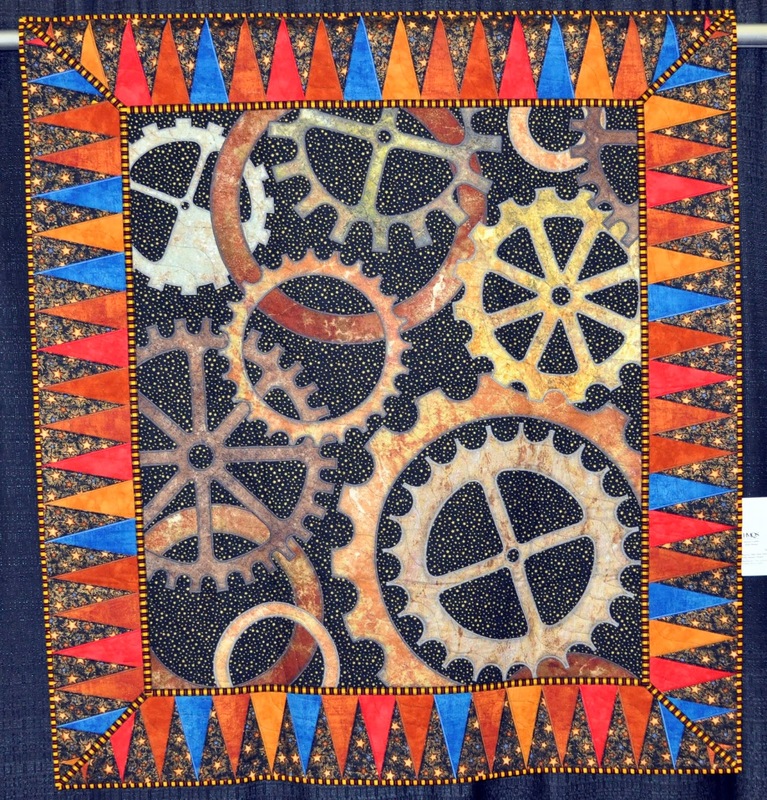 There are plenty of men making quilts. You should look for some of Jamie Wallen's videos on YouTube. His videos helped me work through some tension issues I was having when I first got going with my long arm. As for where to begin? Some long arm dealers rent time on their machines. You should check that out to see if it is what you want to do. A long arm is a major investment and you should do as much homework as possible. 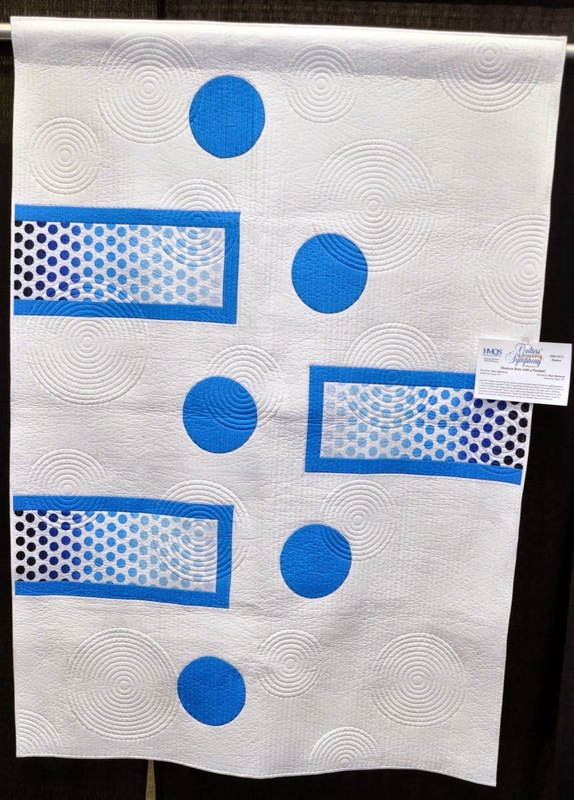 There are men in the quilting world - you are not alone (we have three in our guild). As others suggested, a lot of shops let you rent time or take classes on their long arms - give them a try to see what you like and if it truly is your venture. You are definitely not alone. My husband picked quilting as a way to do something with me and found that he enjoys it. He and I have very different quilting styles and he too loves piecing. We both are members of 2 guilds, a traditional guild and a modern guild. The traditional one for the most part the ladies have grown to love him but were very standoffish with him for a long time til they saw his work. Our modern guild is awesome and super welcoming. 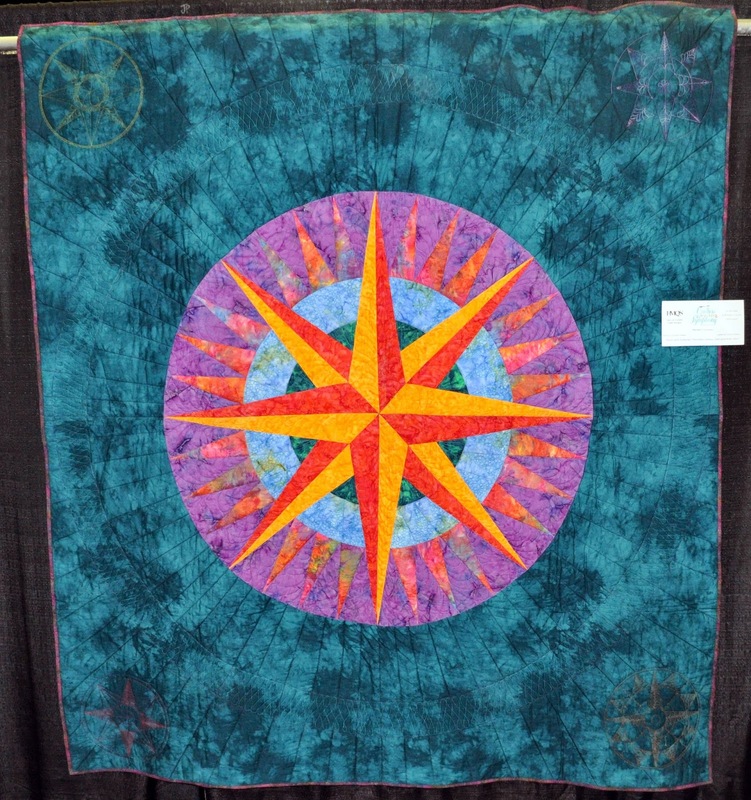 I find the modern quilters to be naturally more open-minded which is nice. Although Richard I hardly ever comment I follow and read everyone of your blog posts. It is inspiring and I enjoy seeing what you come up with. 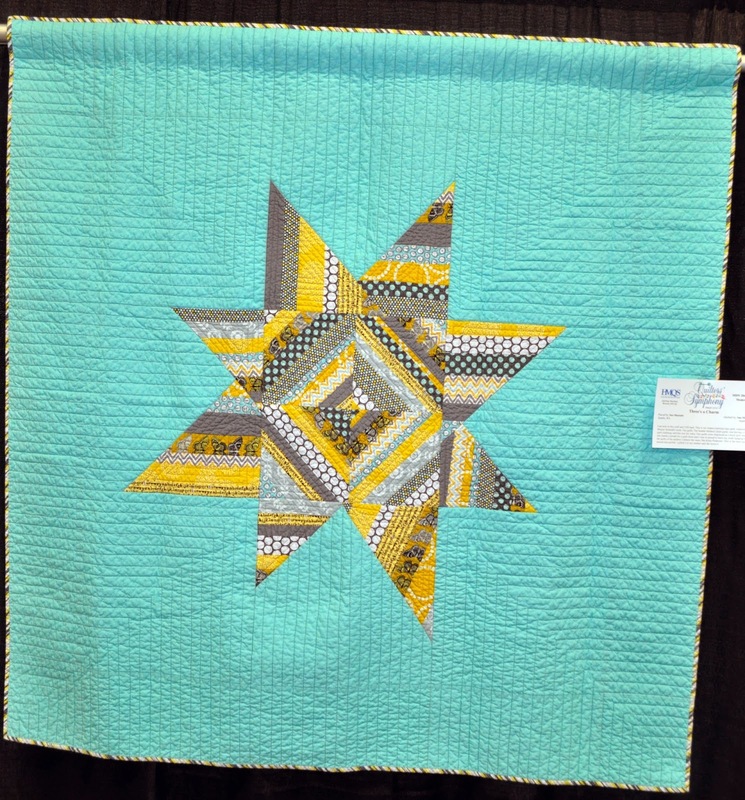 Have you entered a quilt into the show yet? This year I will enter my first. There is just something exciting about getting to see mine hanging in the show. I don't care if I win, I just want to stand nearby and hear what people thing when they see it. 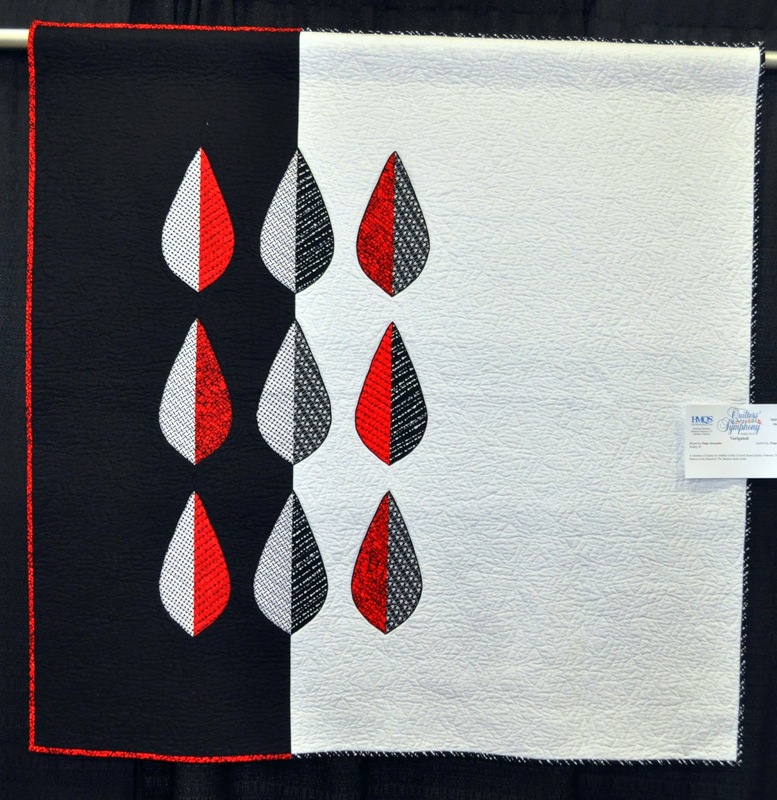 I especially love the quilting part, but it is a huge investment of money and space. You're already putting the time in, so that's not an issue so much, is it? If you're really serious about learning, there are great hands-on classes at HMQS. If you purchase a new machine classes will come with it, but you can often find used Handiquilter machines for around $5000 on KSL, which wouldn't include classes. There are definitely other options out there too. Attending the longarm guild is a good idea--I attend every time and it's a great place to learn. It's every other month. 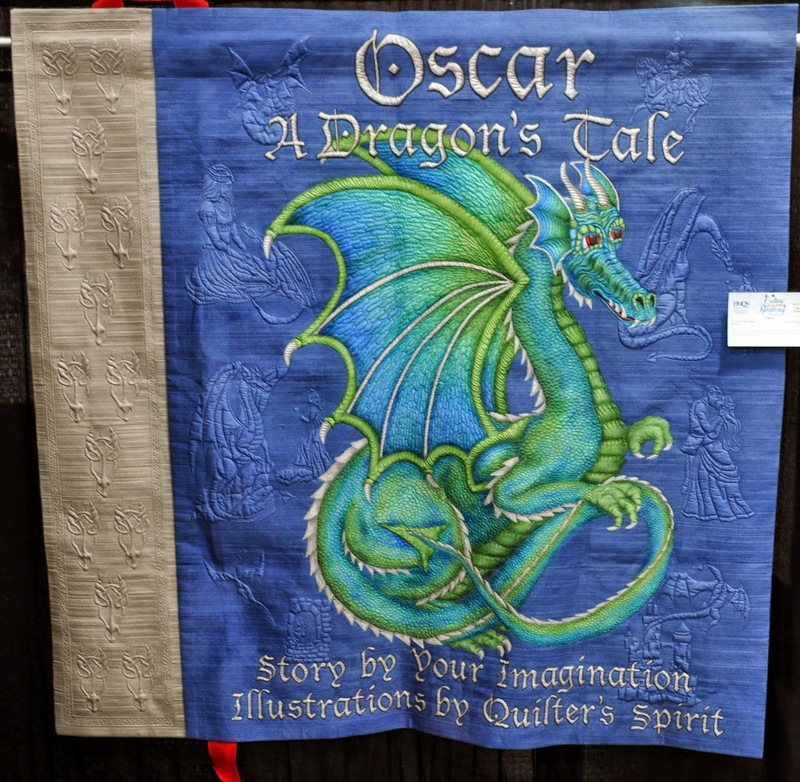 I only had about 1 1/2 hours total to walk around the show, and unfortunately missed most of the quilts because I needed stuff from the vendors. Thanks for posting so many pictures! I saw mine there too!